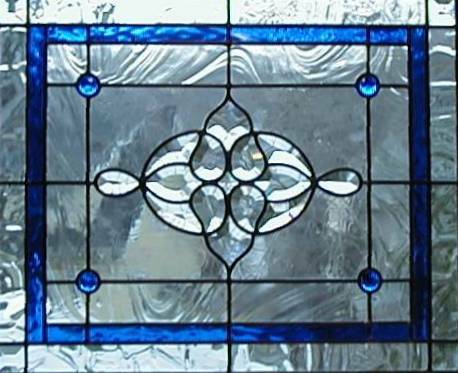 Victorian stained glass was popular in America from the 1850s until about 1920. 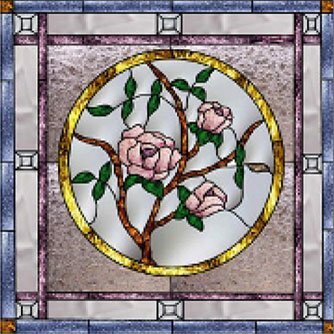 Victorian stained glass is characterized by the use of elaborate ornamentation, faceted glass jewels and bevels, and a mix of bright translucent and opal-type glass. 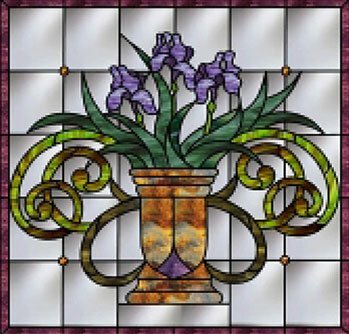 Utilizing the same design and fabrication techniques and materials used by turn-of-the-twentieth century stained glass artisans, Joseph Pompei has created a Victorian Window Collection which includes a series of reproduction stained glass window which can be created to match your specific size and color palette requirements. Throughout the order process you will work directly with Joseph Pompei, who will assist you in determining a design direction. as well as the selection of glass colors and textures. ORDER TODAY :: FREE SHIPPING IN THE USA ! 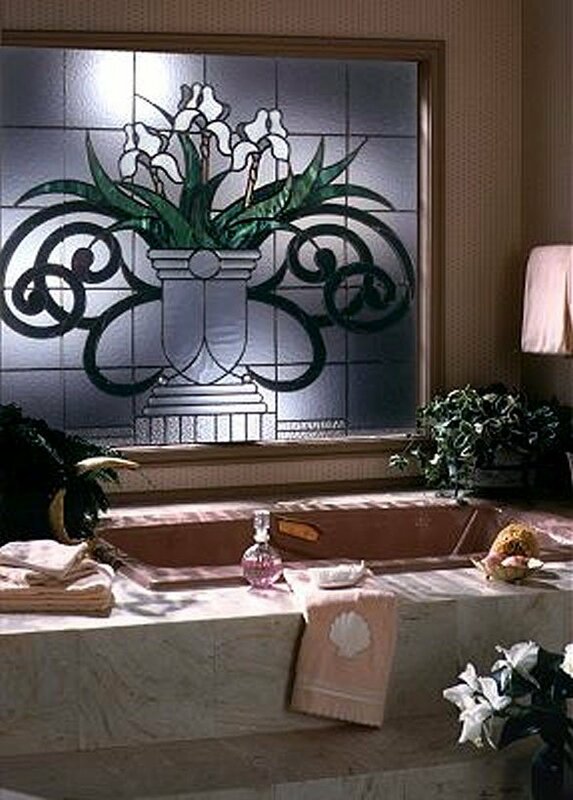 Floral stained glass treatments were among the more popular Victorian design themes. The designs depicted here can be resized and proportioned to meet your specific needs. Design elements found in a horizontal window can be introduced into a vertical application. Includes pricing and ordering information. « Click cover to view entire catalogue. Made to fit any window, including Andersen, Marvin, and Pella. 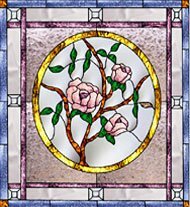 Let’s Create a Stained Glass Window Together ! Have questions about where to start? 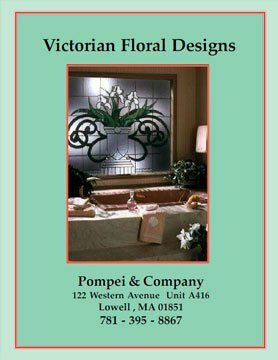 Contact Joe Pompei at 781.395.8867 or by email at info@pompeiglass.com to initiate a discussion about your project. You will discuss your goals, design themes, color palette, privacy requirements, and budget. Looking for design ideas? We invite you to browse our Portfolios and In-Stock Gallery pages. You may also want to have a look at our Victorian and Frank Lloyd Wright window catalogs. Also consider searching Houzz or Pinterest for design ideas. 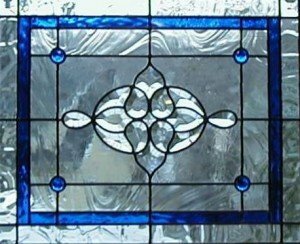 Or, send us your design and we’ll work with you to turn your idea into a unique stained glass window.